Prosperity Pendant – Orocrea Jewerly s.n.c. A jewelry piece to help you to manifest the spiritual richness that you carry within. 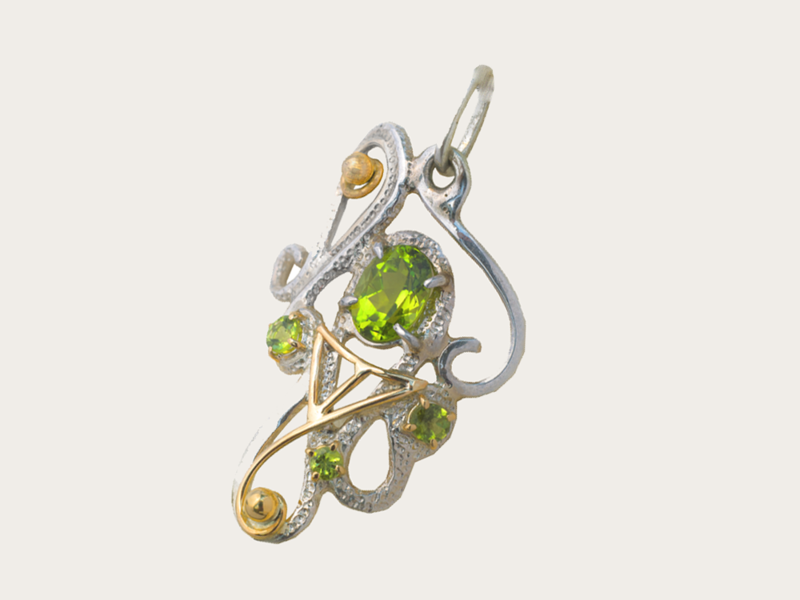 A very special pendant, which evokes the splendor of the most flourishing times of the civilization of Atlantis. Through the noble frequencies of 18 kt gold, yellow and white, it becomes the bearer of the highest meanings related to the symbol “pejda”, in the sacred language. You can choose the version with silver 925 instead of white gold. The double spiral evokes the union of the opposites principles. Beauty and elegance are expressed by the soft curvilinear shapes of the jewel. Four precious gems, three diamonds and a ruby, ​​add the frequencies of the green colour and all the potentialities of gems, that work also as container and organizer of memories. The Selfic activation allows the magic jewel to come to life and to attract synchronicity and positive events for the owner of the jewel.